magine a newfangled "It's a Wonderful Life," starring Joe Strummer in Jimmy Stewart's never-been-born role. Without Strummer as the Clash's frontman, we might be coming up on 30 years of unending disco, wearing bell-bottomed leisure suits and spending $20 bills that carry the mug of ex-President Travolta. Fortunately, Strummer and his fiery British mates became primary catalysts for dragging popular music back into the ditch. 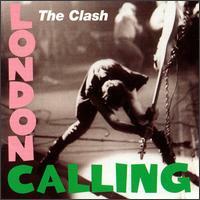 The Clash wed reggae, punk and rock with street-level populism; disco became an amusing five-year footnote. Streetcore, the posthumous new release, is somehow remindful of all these things a year after congenital heart failure claimed Strummer three days before Christmas at a still-feisty 50. The recording, made shortly before Strummer's death, reveals the prototypical ex-punk still at the peak of his powerful passions. The disc's 10-song arc spans from folk to hard-edged rock and weighs in on living in the moment and not backing down when things matter. It's like a great new album from the Clash. 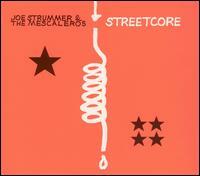 Strummer & the Mescaleros: Streetcore is the recent release (Click for Strummersite). "Coma Girl," a paean to a motorcycle gang's Mona Lisa, starts the album with a promising kick. "Get Down Moses" is a cool blend of rock, reggae and politics with a sing-along hook and a pleasingly indelicate guitar. "Midnight Jam" is slow and slinky. And Strummer's rendition of Bob Marley's "Redemption Song" is apt, intimate and heartfelt. The album at large benefits from adventuresome guitars and a thick, bass-happy nightclub sound. 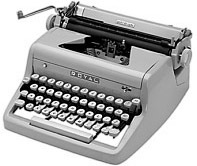 Its standouts are many. One, "Arms Aloft," is a jubilant life-affirming rave that finds Strummer channeling bygone ghosts to deliver a sage pep talk to a mate who's dulled by modern-day life. 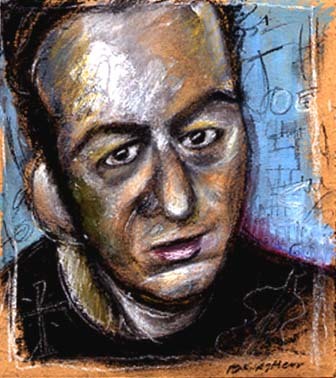 "Just when you were thinking about slinking down," Strummer sings, "I'm gonna pull you up ... I'm gonna pull you around." No small matter: right band, right time, right place. Another standout is "Ramshackle Day Parade," said to be Strummer's elegiac reaction to post-9/11 Manhattan. With stately uplift, the lyrics take a somber stroll alongside four minutes of heavenly choir and a beautifully edgy electric guitar. Strummer went far in his half century: from diplomat's son to boarding-school busker to leader of an outfit that was lovingly  and frequently  regarded as "the only band that matters." "Well, I'll tell you one thing that I know," Strummer sings in "Long Shadow," a buoyant folksong said to be written for Johnny Cash. "You don't face your demons down, you gotta grapple 'em, Jack, and pin 'em to the ground." He proceeds to sing of climbing mountains, hearing the hounds of hell and everything in between before ending the song with nearly a shout: "Somewhere in my soul ... there's always rock and roll." All of which is emblematic of Streetcore, a mid-life missive from a seemingly self-actualized rocker caught unaware that the statement would be his last. Aside from the odd likelihood that a President Travolta would be better than the current oaf, the upshot is that Strummer's whole-hearted display of middle-aged everyman vigor lends immense hope for the planet's future. And that's a wonderful life.